Unwired RemoteLink has become the most popular RemoteWare end-of-life solution. It provides a lighter, more dynamic solution for data movement that scales to fit your company size and priced accordingly. While it would take far too long to explore RemoteLink as a whole, we decided to dive into the four features that we see as most beneficial for retail businesses and restaurants. Using a web-based console gives you the ability to log in and access your information from any connected device. Since RemoteLink stores everything in a database, you have the opportunity to integrate other business software and use your data to create real, useful information. 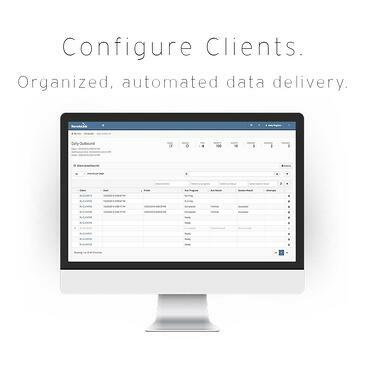 When you setup your system, you'll be able to give each client a unique identifier as well as specified attributes (including jobs and tasks). RemoteLink will automatically assign the corresponding store value as part of the client attribute, making it easier to view client systems by store. Depending on what jobs and tasks are assigned to each client, RemoteLink provides the capability to group clients based on common attributes. Again, this grouping function simplifies the process of system audits and creates a clear view of how well your company is operating day-to-day. 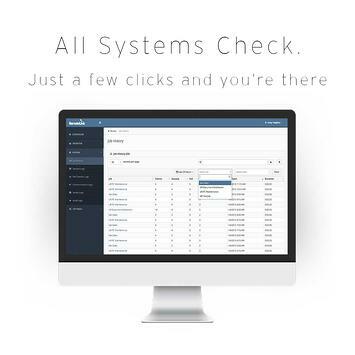 With job and task functions automated, the job history view allows your IT personnel to see how well the system ran and will flag any problems that require attention. RemoteLink automatically identifies problem points, flags any repeat attempts for completion, and groups clients based on jobs for the most efficient troubleshooting and correction. 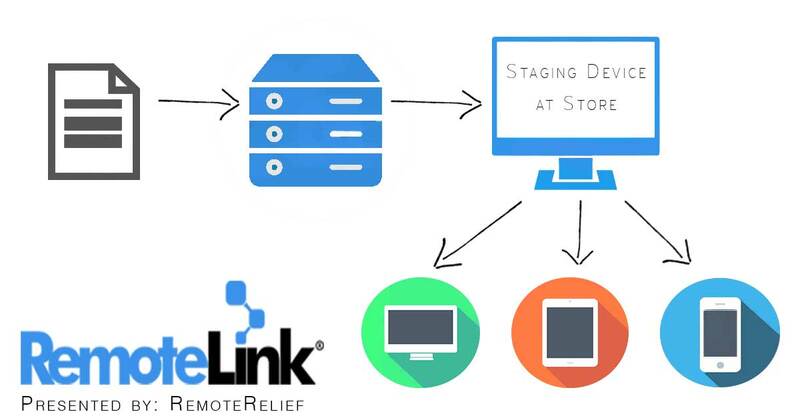 Staging devices are a new feature that RemoteLink released allowing you to send files to a single staging device at a store. Operating this way gives you increased alerting capabilities because the information is traveling from the server, to an in-store staging device, and then being distributed to the appropriate store devices.